Adecco Serbia has chosen its ‘ceo for one month’, as part of the Adecco global Way to WorkTM program. This program, which attracted more than 54,000 applications, will enable 49 ambitious young candidates from all over the world, among which is Andrijana Janković from Serbia, get the chance to acquire their first work experiences in their own countries, with mentorship of the Adecco Group managers. One of these 49 finalists will be eventually chosen to work with the Adecco Group CEO, Alain Dehaze, at the company’s headquarters located in Switzerland. “Way to Work” TM is a project through which Adecco is offering young people the opportunity to gain their first work experiences, thus helping them progress more quickly on the labour market. The ‘ceo for one month’ program, which is a part of this project, is specifically focused on ambitious young talents and offers them a unique opportunity. They will be able to improve their chances for employment through workplace learning and working with us who manage this company. Moreover, this program is also an excellent opportunity for us, as we are increasing the supply of new talents who are coming along, bringing with them new energy and knowledge”, said Marko Kolenc, Adecco Serbia Country Manager. 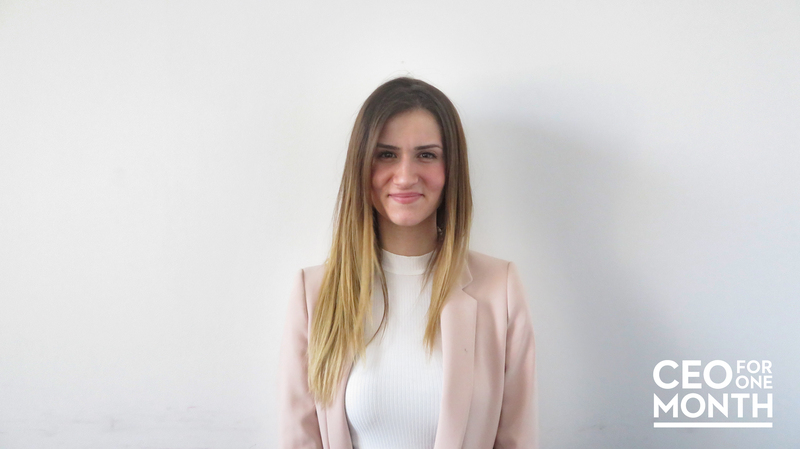 Andrijana Janković, who will be the Adecco Serbia CEO in the following month and cooperate with the local management, has been chosen among 229 young people who applied for this position in Serbia. She’s a final-year student at the Faculty of Economy in Belgrade, and during her studies she had a lot of experience at team work and voluntary activities, which helped her get to know herself and acquire additional self-confidence that is going to be important in her future work as part of the Adecco team. Adecco Group started Way to Work in 2013, in order to tackle the problem of youth unemployment and absence of necessary skills, improve employment opportunities for the youngsters and help them step into the world of work. Through Way to Work, Adecco Group is offering young people internships and apprenticeships (more than 10,500 between 2015 and 2016), career guidance and training, as well as the chance to become a ‘CEO FOR ONE MONTH’.